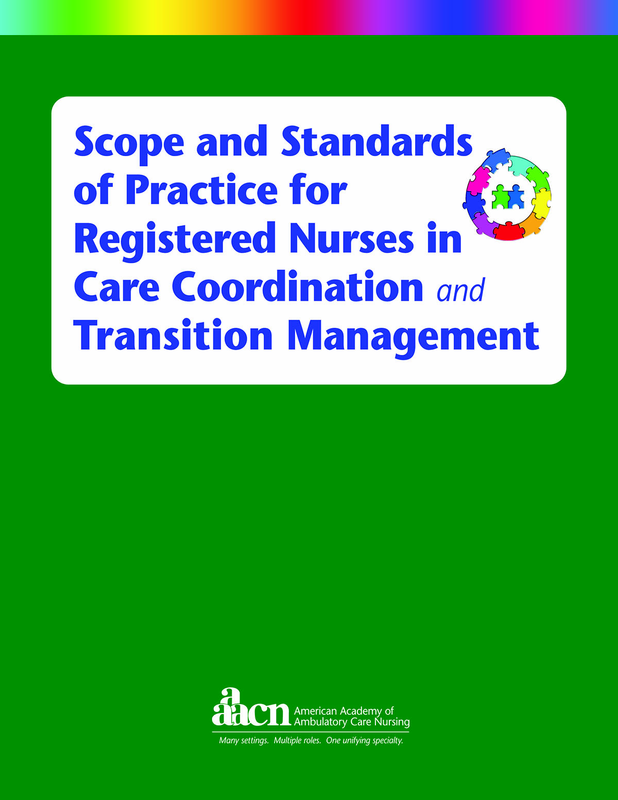 This resource provides the first scope and standards of practice for registered nurses in a relatively new role: care coordination and/or transition management (CCTM). While these roles have been evolving over the past 25 years, there has never been formal identification, specification and/or publication of the scope and standards of practice. This publication sets the standard for excellence in the coordination of care, and is written as a resource for both acute and ambulatory care nurses. The Standards addresses both the clinical and the management dimensions of CCTM, and may be used as a tool to advance professional care coordination and/or transition management nursing practice, patient and population health, and the performance outcomes of health care institutions.